Not everything fit nicely into themes, so here are more interesting fragrance launches and products that are worth checking out. Ulrich Lang Lightscape – While violet is often overpowering, Lightscape blends it with citrus and floral for a very wearable and not at all overbearing scent. Jovoy – I was truly excited to see the new lineup of Jovoy scents at Elements – as Psychedelique and Private Selection were two of my favorites that I picked up in Paris last year. Both of these are insanely powerful with strong projection and insane longevity. Psychedelique is heavy on patchouli with geranium, amber, and smoke. 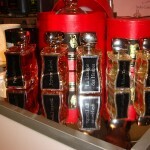 Private Label is an oriental with sandalwood, leather, and vanilla. With fall and winter coming, both of these are ideal cold weather scents. Andrea Maack Coal – Swedish line that is new to me. I remember liking this scent but forgot to write down why. 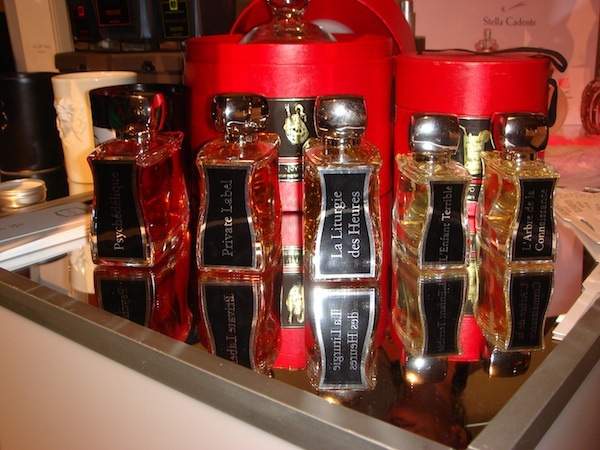 Parfums Del Rae – Another line that is new to me. Three scents that grabbed me were the boozy Panache, the incense/blackberry/spicey rose Bois de Paradis, and the rosey citrus Coup de Foudre. I definitely need to explore this line more. Frapin Speakeasy – Inspired by the prohibition era, the maker of fine cognacs blends mint and bergamot with leather and tobacco. As one who loves their Caravelle Epicee (a true spice bomb), I look forward to this one greatly. 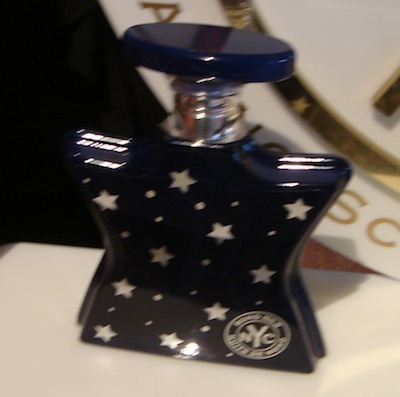 Bond No 9 – Two new scents were displayed – Musk (powery and strong) in their signature bottle, like the Amber, and Manhattan (which I didn’t get to experience). Sen 7 Fragrance Atomizer – You’ve all seen the Travalo atomizer by now. The Sen 7 improves upon the design with a safety click (no spillage) and multiple loading processes (direct pumps like the Travalo or spray & pour with the included pump). 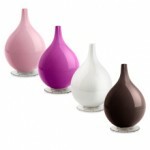 A variety of colors and styles are interchangeable, with many finishes including polished, brushed, and rubber. Broksonic Humidifiers – The Broksonic humidifiers are functional artwork – with futuristic styling and aromatherapy. Even if you don’t need one, they look so much like modern art that you might still want one. 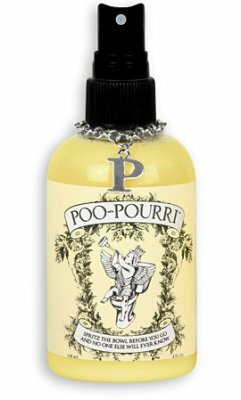 Poo-Pourri – Sometimes you just got to laugh at the products that are created. If you spray Poo-pourri in your toilet bowl before you , erm, do you your business, the natural toilet air freshener will control the odor so no one else has to know. The commercial is hilarious and definitely worth a view.